Junk cars for sale are a hit for good reason, more people continue to find gems and great deals when they go for repairable salvage cars for sale. Whether you are looking to buy your next car, just something to restore and sell for a profit, or parts for your car, junk car auctions can be a real boon. 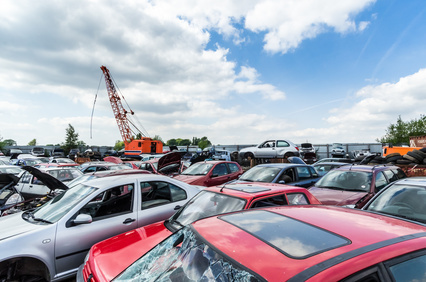 In this blog, we share some age-old tips on how best to spot gems when you browse through AutoBidMaster’s junk cars for sale for your next ride. The best choice you can ever make is one for which you can ascertain an accurate approximation of the repair costs. Buying junk cars for sale with the hope of getting it back on the road will call for some investment in parts, repairs, and maybe some bodywork. If you intend to repair and use the car that you wish to buy, it is advisable to prefer junk cars for sale that have suffered collision damage. This is because it is fairly easy to establish the nature and extent of the damage. Your mechanic can help you assess the vehicles on your shortlist to find one that you can buy and restore within your budget. While used cars may require a simple inspection designed to establish if all the parts are there, repairable salvage cars for sale demand much more. Your inspection has to be thorough and include under the hood, in the trunk, under the car, the upholstery, body, and under the mats. All states in the US require insurance to legally drive your vehicle. This makes it important to be aware of what your options are when it comes to getting covered after your buy the vehicle. Even if you intend to restore and sell the car, the importance of knowing its insurance possibilities still remains. AutoBidMaster provides the widest selection of junk cars for sale, giving you a better chance of finding that car you are after. Whether you wish to get the car back on the road or salvage the parts, we have what you need. Browse through available options or contact us to learn more about repairable junk cars for sale auctions that run throughout the year. Register today and start bidding with a few simple clicks. You can reach us at +1 (503) 298 4300, or Send a Message.